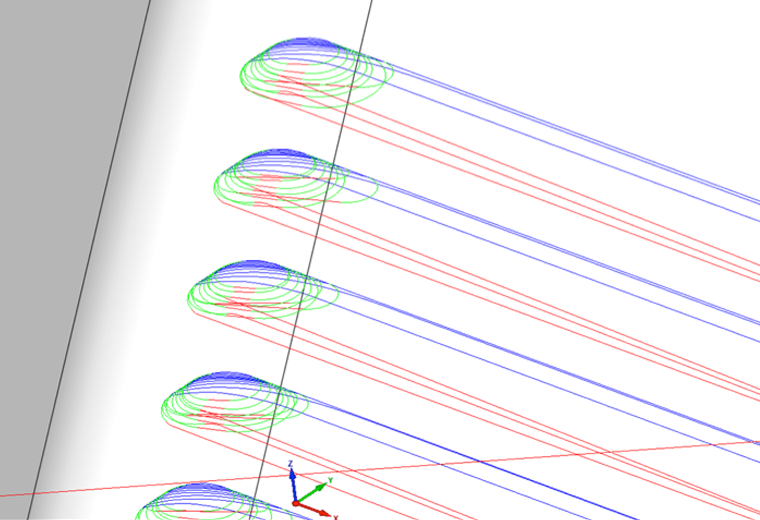 We're thrilled - it's just incredible"
Every day we don't use SolidCAM iMachining we are losing money!" 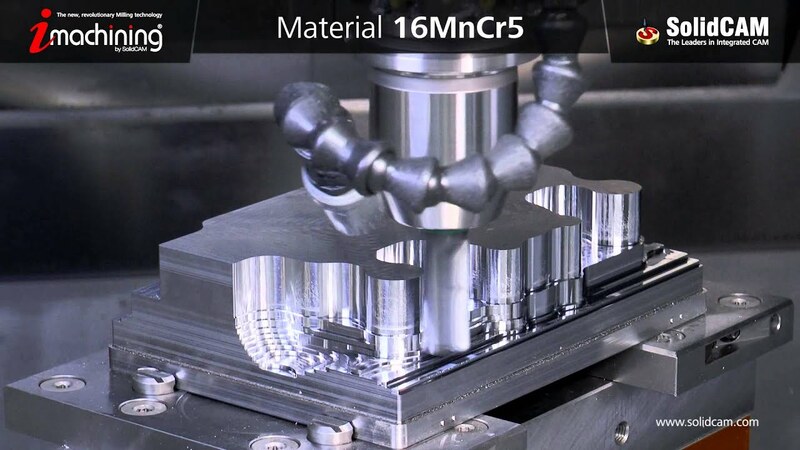 The cost savings are very big"
Incredible tool life, faster cycles, lighter cutting loads"
The one and only iMachining 3D provides amazing 3D machining results, regularly providing 70% or more savings in machining time. 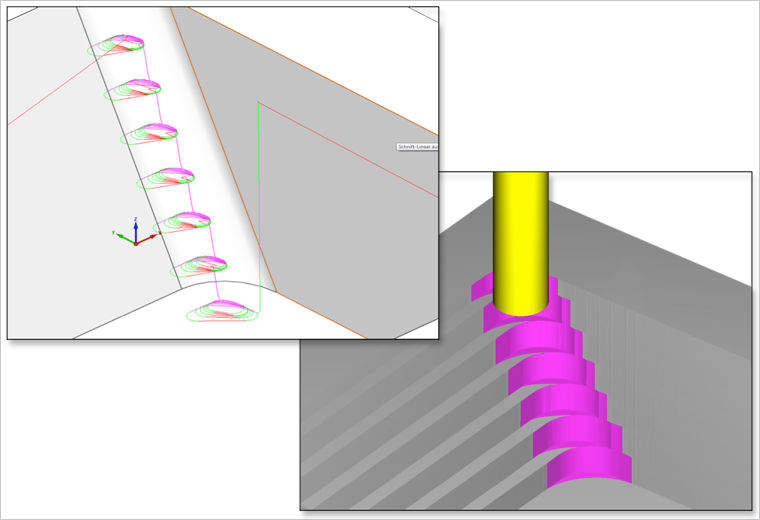 iMachining 3D is an automatic, high-speed milling tool path for optimized Roughing with "staircase reduction", and Rest Roughing for both prismatic and general shaped 3D parts. Quick solid geometry selection – just "Pick & Go". 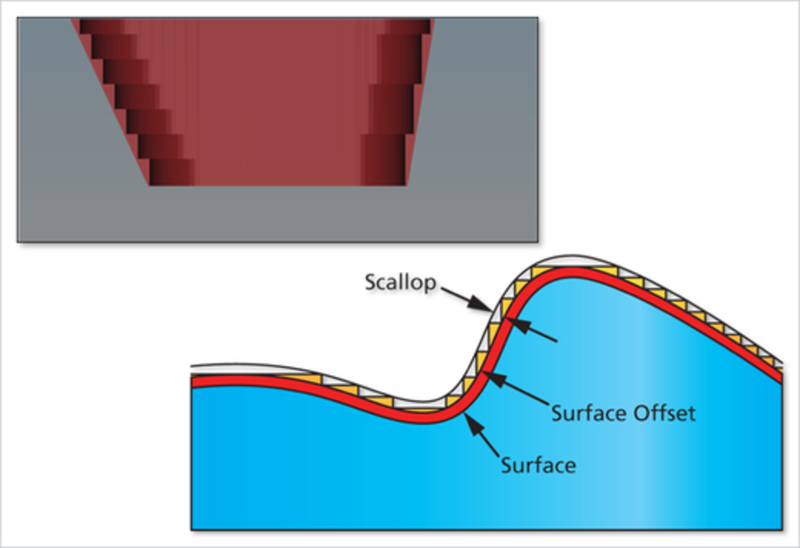 iMachining 3D automatically produces a complete, ready to run CNC program, with optimal cutting conditions, to rough and rest rough a complete 3D part, with True Scallop on all slopes, all in a single operation. 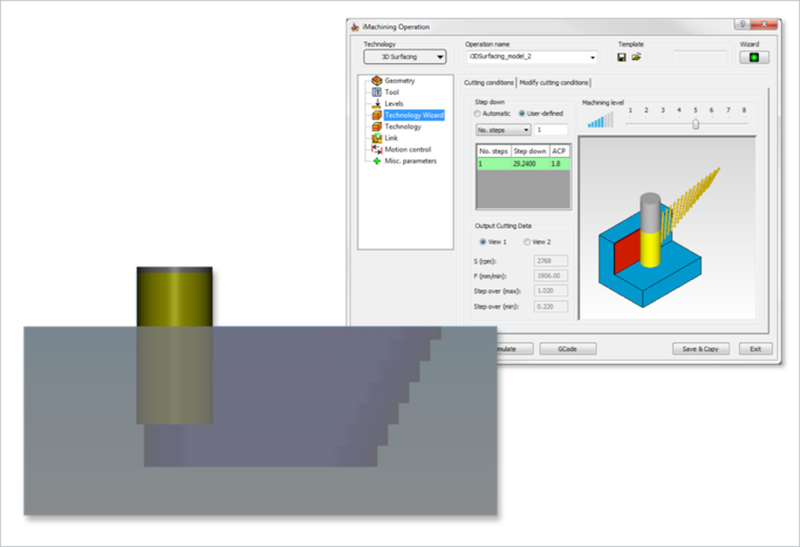 iMachining 3D uses target and updated stock geometry from previous operations to automatically recognize areas it needs to machine, eliminating "air-cuts" and optimizing tool repositioning. The optimal cutting conditions are achieved by the expert Knowledge based Technology Wizard of iMachining. 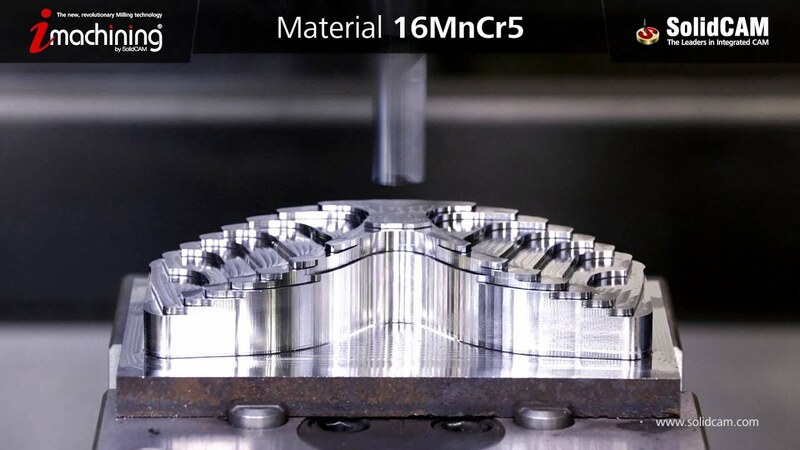 When compared to any other CAM system to mill a part, SolidCAM's iMachining wins any benchmark in ease-of-use, programming time, cycle time and tool life. 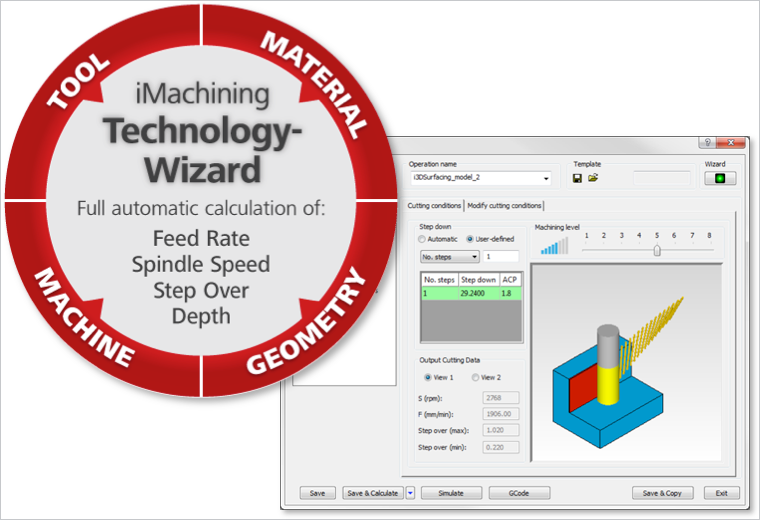 Try iMachining on your part and your machine by downloading our trial version. 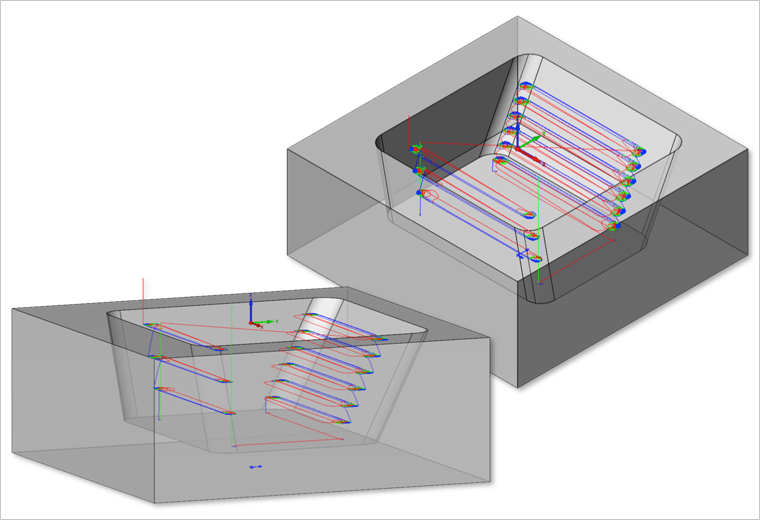 This part demonstrates the use of iMachining 3D on a mold. 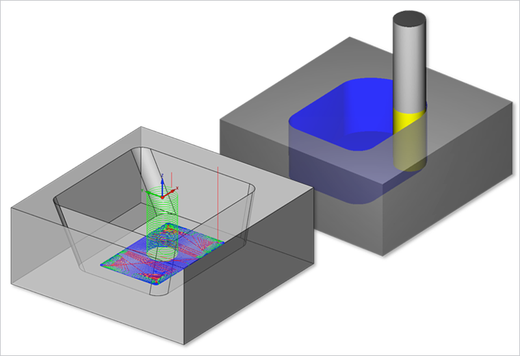 The part is held in a typical machine vise and the stock used is defined by the "Automatic Box" function in SolidCAM. The operations used here are "iMachining 3D, iMachining 2D, Simultaneous 5-Axis and HSM. 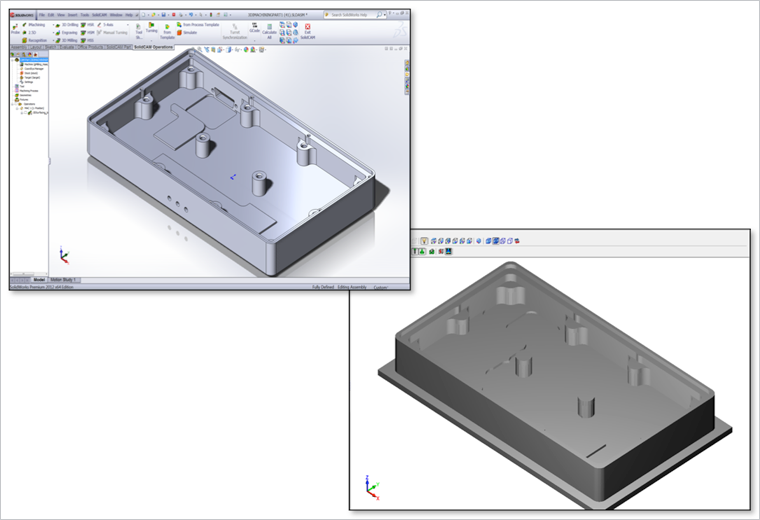 The link below includes the SOLIDWORKS part with the fixture, post processor and machine type for Machine Simulation. 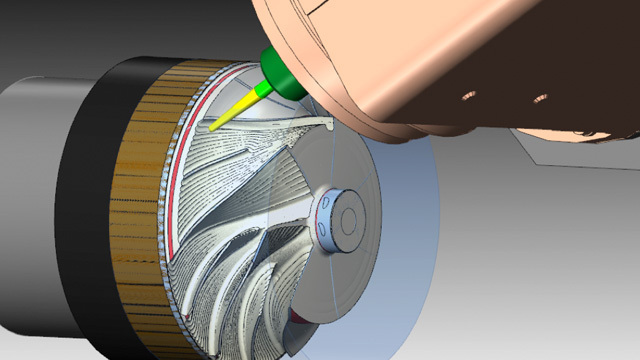 This part demonstrates a large engine block. 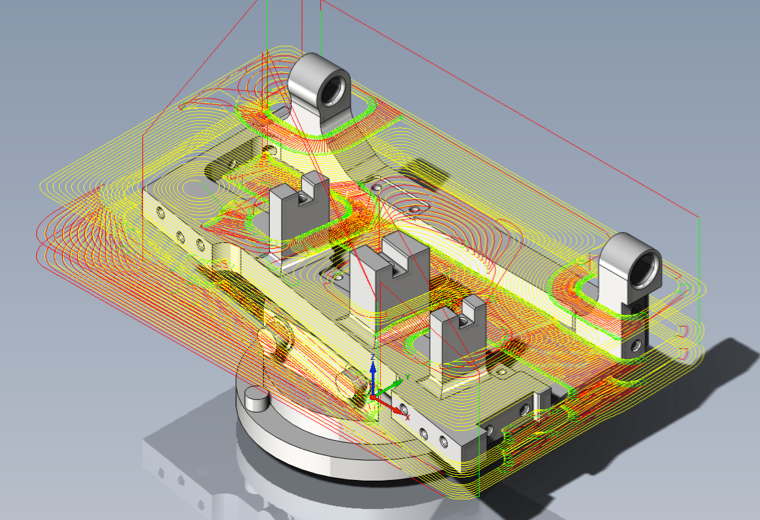 The stock is 3D mounted on a milling fixture using iMachining 3D to machine the part. 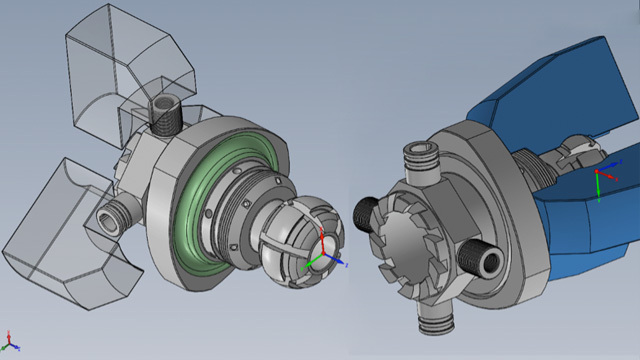 Operations used on this part include iMachining 3D, HSM and HSS. The link below includes the SOLIDWORKS part with the fixture, post processor and machine type for Machine Simulation.